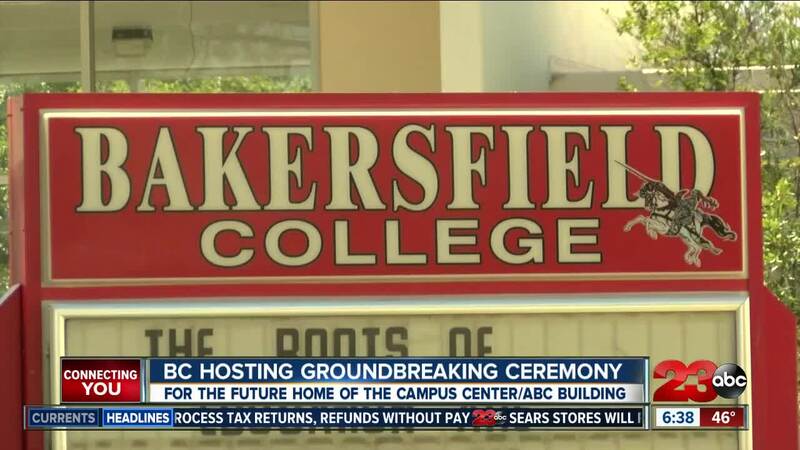 Bakersfield College previews the groundbreaking of their new campus center. The groundbreaking is open to the public and kicks off at 10:30 a.m.
BAKERSFIELD, Calif. — Bakersfield College previews the groundbreaking of their new Campus Center! The Campus Center will be a three-story space, housing various student services and administrative needs. It will be over 67,000 square feet and it scheduled to be complete by 2020. The center was funded by the 2016 Measure J Bond and the total budget is approximately $35 million. The groundbreaking ceremony is on Wednesday at 10:30 a.m. and is open to the public.